Under Texas Law, a hypnotherapist may not provide a medical diagnosis or recommend discontinuance of medically prescribed treatments. If a client desires a diagnosis or any other type of treatment from a different practitioner, the client may seek such services at any time. In the event your services are terminated by you or your hypnotherapist, you have the right to coordinate transfer of services to another practitioner. You have the right to refuse hypnosis services at any time. However, we know of no other school that provides a better accelerated hypnosis and hypnotherapy training program than we do. We believe that we provide extremely good support systems for our grads after graduation, including online support groups and articles. Also, you can receive ongoing support via email and telephone support. 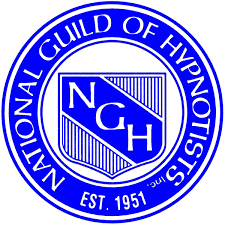 We also have other optional training materials designed to increase both your knowledge of hypnosis, hypnotherapy and the business aspects of the practice of hypnotism. These are all ways that we help you to be successful. From time to time, this site displays affiliate links. Affiliate links are links to items on other websites, that when purchased can lead to a commission payment to the Banyan Hypnosis Center for Training & Services, Inc.